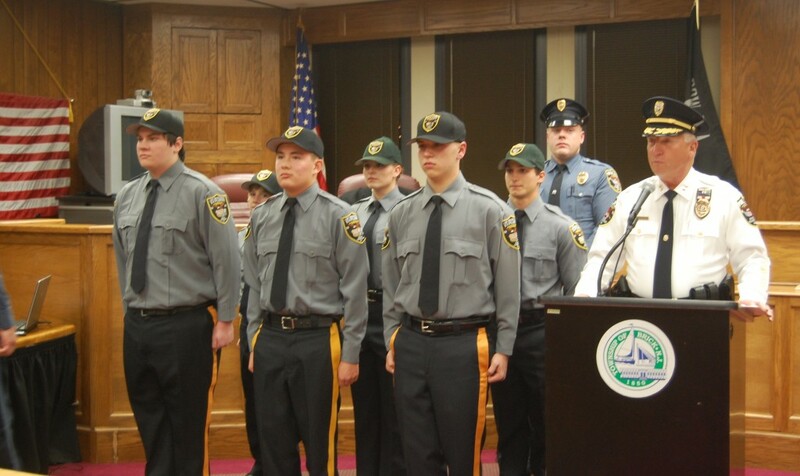 Brick Township’s latest class of young Police Explorers graduated Tuesday night after completing months of training. “These young people have worked hard to get here and deserve the recognition,” said Police Chief Nils R. Bergquist at Tuesday night’s township council meeting, where the ceremony took place. The Scouts, as they are called before the ceremony, become Explorers afterwards. As Scouts, the young people between the ages of 14 and 20 explore all aspects of the police profession, including physical training, drills and marching, motor vehicle stops, radio communication, CPR certification, self-defense and scenario-based training, the chief said. There are currently 21 Explorers working with the Brick police department. After graduation, Explorers meet weekly with Brick police officers who donate their time to be leaders. 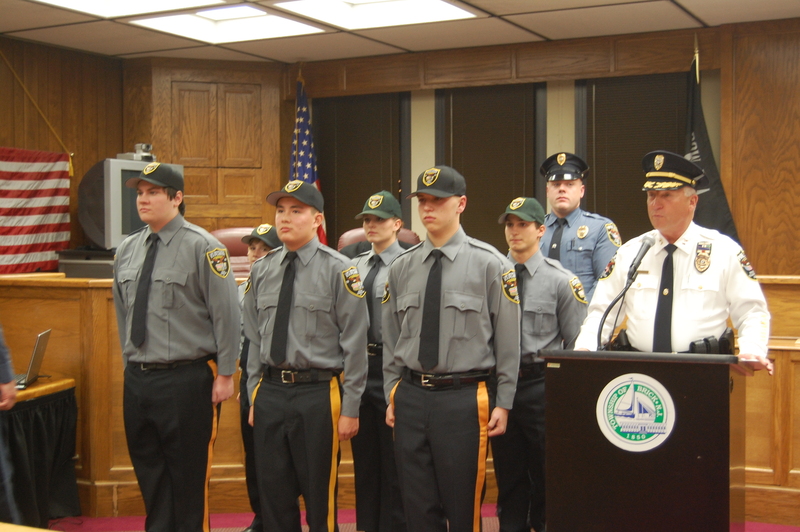 Explorers assist officers with numerous tasks, such as crowd control at Summerfest and parades in town, and participate in competitions across New Jersey as well as out of state. Bergquist said the program will again be opened up to new young people who are interested in the next month.